Bob left a large financial services firm in 2005 to form Bear Creek Financial, believing he could offer his clients better service and results as an independent* financial professional. 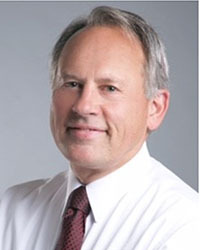 He holds a BS from Brigham Young University and an MBA in personal financial planning from City University of Seattle. He is a CERTIFIED FINANCIAL PLANNER™ professional. When he is not helping his clients pursue financial goals, Bob is usually working on or around his house or participating in family activities. In his spare time, he likes to play musical instruments (guitar and tuba), and listen to live music. He is an avid reader. Bob is passionate about his clients. Helping them get where they want to be gives him tremendous satisfaction. He is especially passionate about helping people reinvent themselves in midlife. Click here to email, or call Bob at 425 454-8212. *Securities and Advisory services offered through KMS Financial Services, Inc.